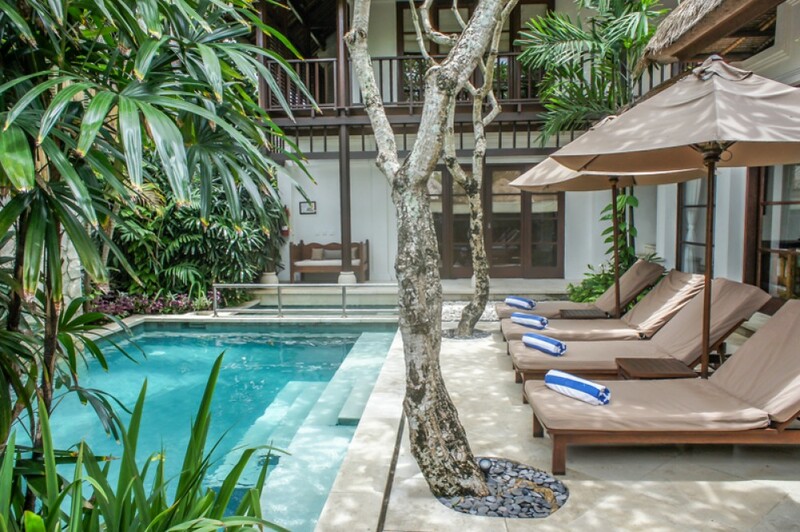 Set on 320 square meters of prime freehold land, this beautiful Balinese style villa is located within an exclusive boutique style 5* resort. 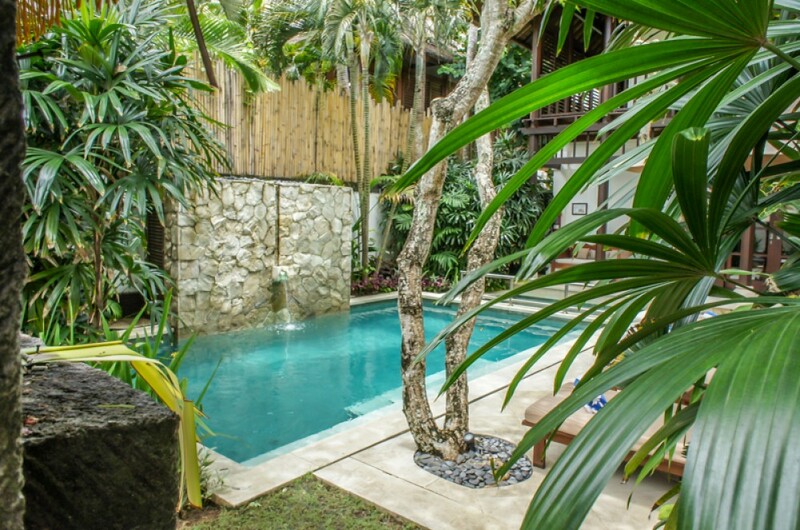 The attractive fully furnished property offers 3 spacious bedrooms each with en-suite bathrooms and comfortable living and dining spaces overlooking a beautiful tropical garden and a private swimming pool including a children’s plunch section. 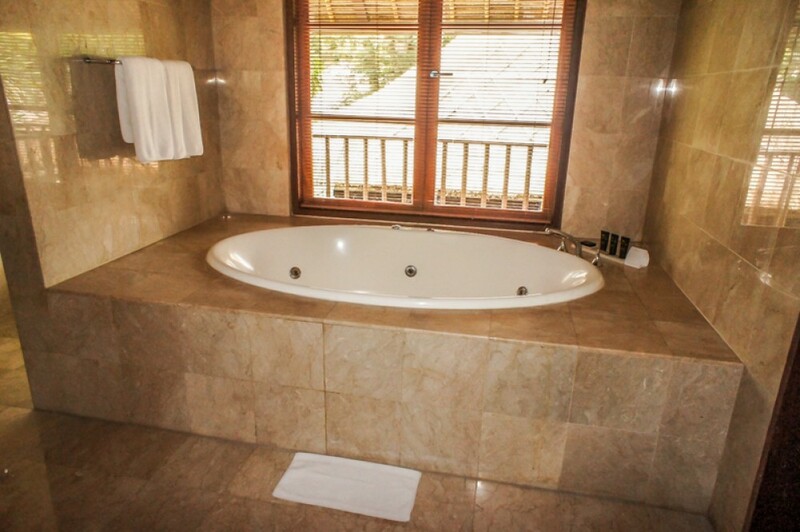 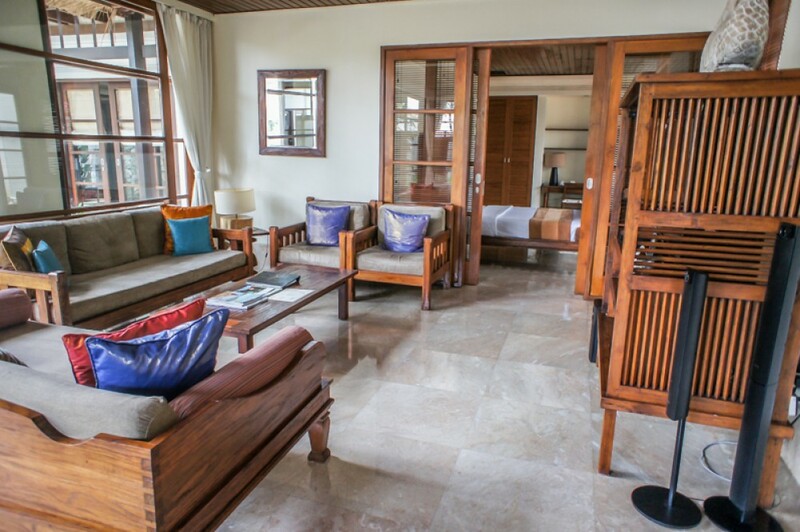 Additionally, the villa features a Balinese outside shower, and a separate maid’s house. 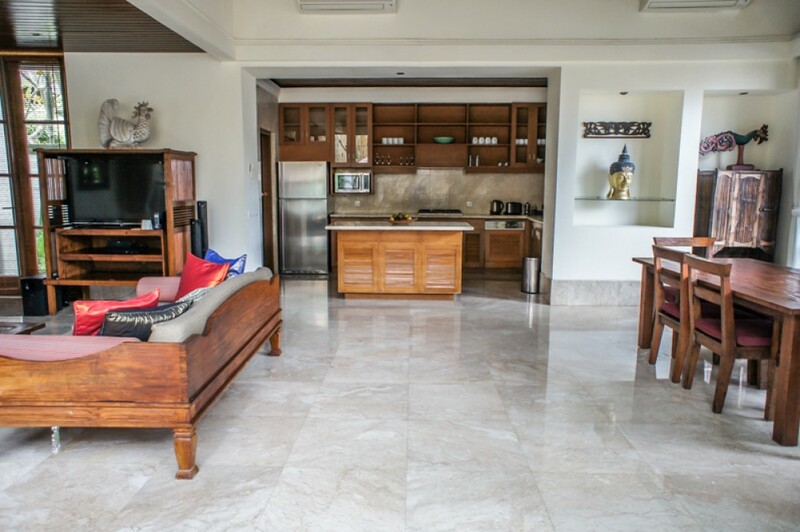 Built to a very high quality with alang alang roof and all very well maintained, this spacious 297 square meter private villa would make an ideal family home, a holiday home, simply an attractive investment or a combination of both. 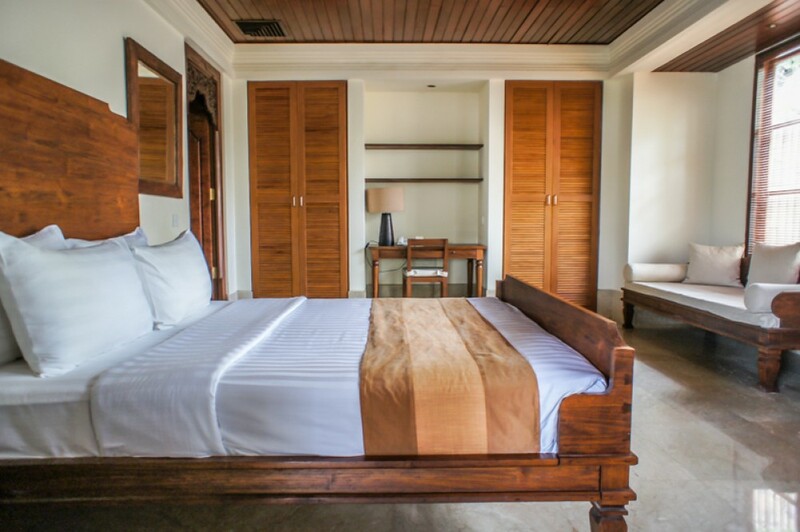 The villa is currently part of the resort’s rental scheme and provides an attractive fixed monthly rental income, but also allows 28 days per annum of completely free private stay and other benefits. 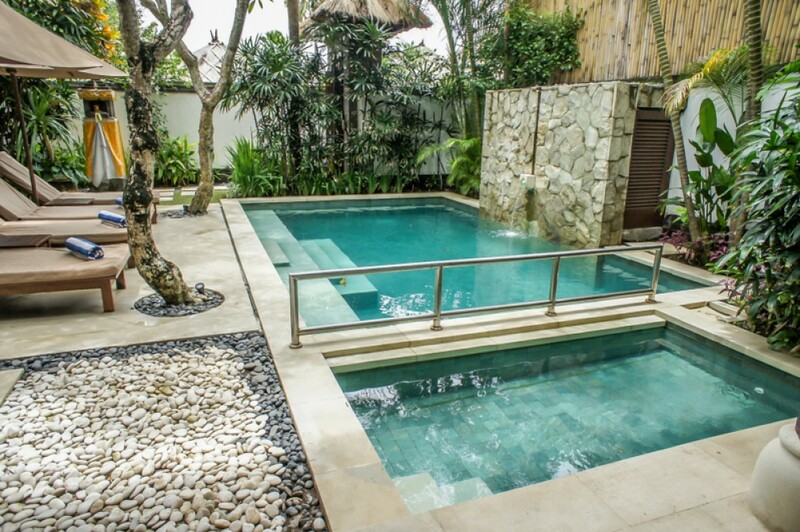 Up to the new owner this rental arrangement can be continued or terminated. 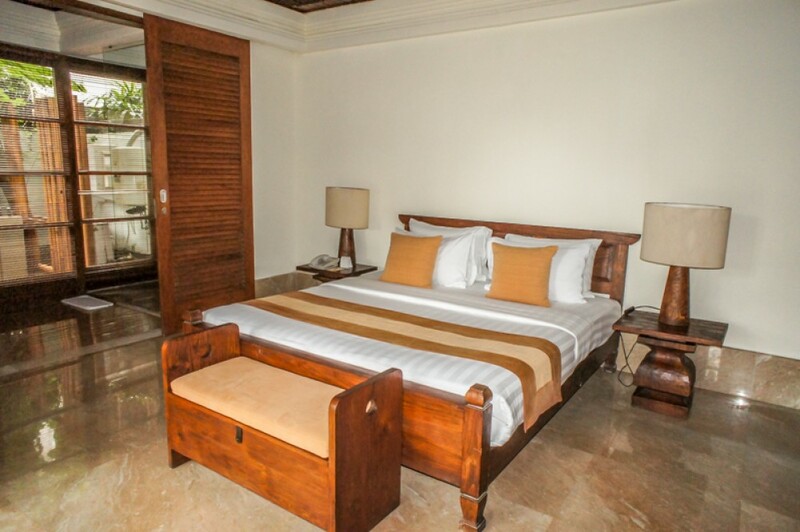 The well managed resort is located near the famous Jimbaran beach, and is only a 15 minutes’ drive away from the International airport. 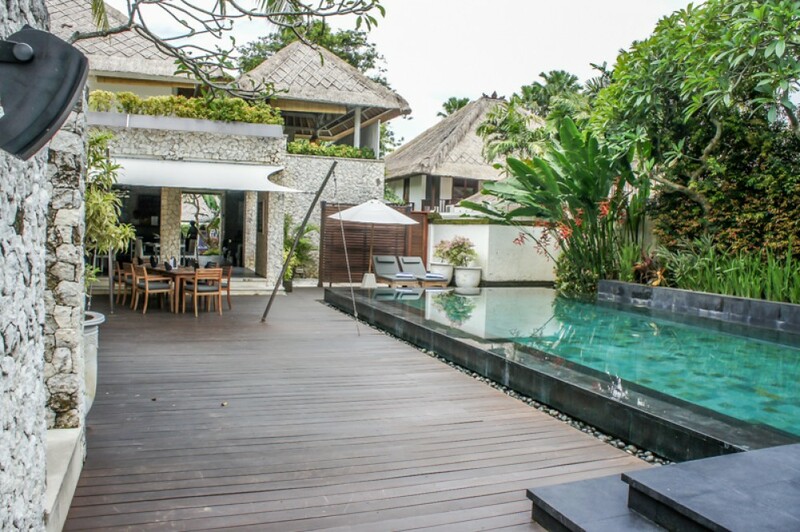 The resort itself sits in a very large beautiful tropical environment and features hotel like amenities, such as a reception, a restaurant and bar located next to the resort’s own large swimming pool, Balinese massage, a gym and so on.